SACRAMENTO, Calif. /California Newswire/ — On December 5, 2016, Calif. 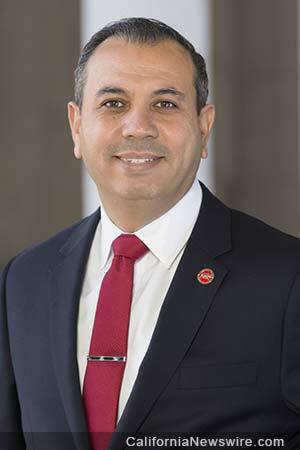 Senator Tony Mendoza introduced Senate Bill 4 (SB 4), which would allocate $1.2 billion dollars to reduce emissions, health risks, and also to redevelop the infrastructure of California’s goods movement network. This measure would improve goods movement corridors which are vital to the state’s economy while also addressing the adverse effects on the communities and the environment bordering these routes. The Ports of Los Angeles and Long Beach comprise the largest port complex in the United States, handling a quarter of all container cargo traffic in the nation. Furthermore, as the 6th-largest economy in the world, California and its 11 public ports are a robust and intricate freight transportation system that supports significant international trade and domestic goods movement demands. “As a representative of cities in Southeast Los Angeles County and North Orange County, I realize the pressing need for improving our infrastructure for the movement of our goods. For this reason, I am honored to have introduced SB 4 to improve our roads and highways,” said Senator Tony Mendoza (D-Artesia). SB 4 aims to reduce emissions and health risks from freight operations in California’s priority trade corridors through incentives by allocating $200 million to the Goods Movement Emission Reduction Program (GMERP). Further, SB 4 allocates $200 million to the Trade Corridors Improvement Fund (TCIF) for trade corridor improvements. “California should continue to focus on cleaner and more efficient goods transportation while raising our standards for air quality. Our community and our economy improve when we make innovation a top priority,” said Senator Mendoza. Senator Tony Mendoza, a Los Angeles native and former elementary school teacher in East Los Angeles, represents the 32nd Senate District encompassing portions of Los Angeles and Orange Counties. For more information about Senator Mendoza visit his website or follow him on Facebook and Twitter – http://sd32.senate.ca.gov/node/4.